Site Liaison | Ghana, Pittsburgh, Tanzania, Washington D.C. 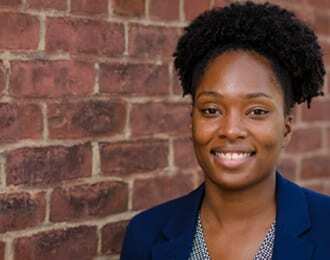 Originally from Brooklyn, N.Y. Tyisha attended Penn State University, obtaining a dual BA in Political Science and Communications. She went on to obtain her Master’s Degree in International Affairs from New School University in New York City. Upon completing her Master’s Tyisha joined the Peace Corps. She spent two years working in Swaziland, focusing on female empowerment, and education. She returned to the U.S. in September of 2016 and is excited to continue her work in international education, volunteerism, and cross-cultural exchange as part of the Amizade team.